It’s safe to come out now, Samsung’s new Note 8 doesn’t catch fire or explode. In fact, PAT PILCHER gives this large-screened beaut one of his highest ratings. 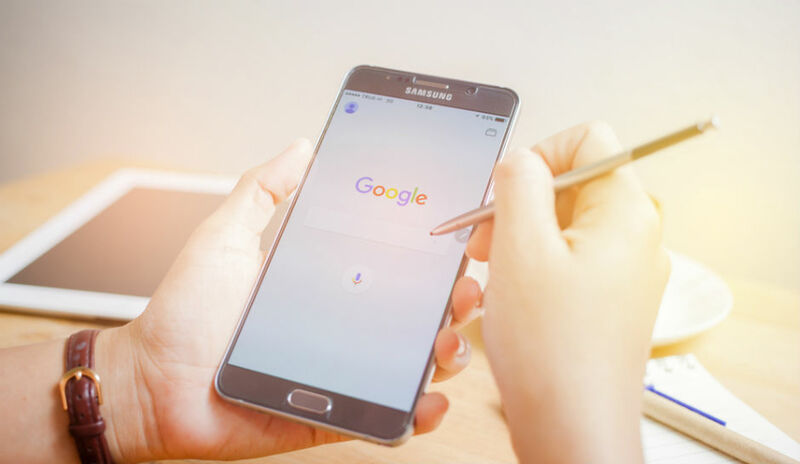 Mention the Galaxy Note 8 and it is hard not think of the Note 7, which proved to be a little too hot to handle. That aside, the Note 8’s roomy screen, stylus, superb cameras and battery life make it more than capable of righting the historical wrongs of its predecessor. XXL-sized phones are something Samsung have proved adept at. They kicked the Phablet genre into life back in 2011, with what at the time seemed like a massive 5-inch screen. Phablets have since become the norm, and big-screened phones are everywhere. Few come with a stylus. It’s an intoxicating combo. The Note’s large screen and stylus have seen it develop a devoted following. 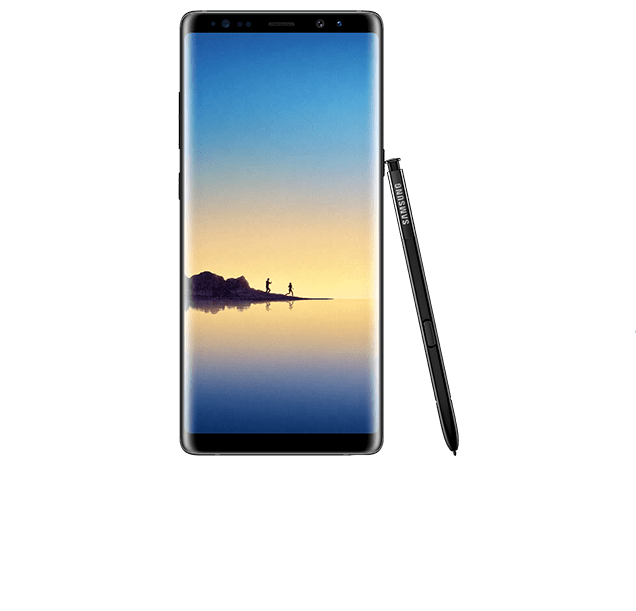 The most noticeable aspect of the Note 8 is its super-sized display. At 6.3-inches, It’s no shrinking violet. Like the S8 and S8+, the Note 8 is tall rather than wide. It may have plenty of screen due to its edgeless design and tiny top and bottom bezels, but while it is big, it is not unwieldy. This translates into the Note 8’s chassis being similar in size to the iPhone 7 Plus. Could the Note 8 be Samsung’s Tardis? Speaking of which, Samsung appear to have taken some learnings from the S8+ and applied them to the Note 8. There’s less screen on its curved edges as well as a small metal ridge down both sides. These combine to give the user a comfy grip and less edge screen grief compared to the S7 Edge. That said, the Note 8 isn’t ideal for one-handed use (especially if you don’t have baseball catcher mitts for hands). It also feels less slippery than the S8+. The Note 8’s AMOLED screen also deserves special mention. It’s brilliant, offering dazzling brightness levels, bold and saturated colours plus deep blacks. It’s one of the best smartphone displays currently available. Like the S8+, The Note 8 also has a virtual home button, and it’s also pressure-sensitive. Pressing and holding brings up a handy contextual sub menu. Spinning the Note 8 around reveals a continent-sized back. Here you’ll find twin cameras (more on those later). There’s also a flash/heart rate sensor and awkwardly located fingerprint scanner. Like the S8+, The Note 8 is IP68 rated. This makes it water resistant in 1.5 metres of water for up to 30 minutes. Its screen and rear is Corning Gorilla Glass 5. This should confer it with a small measure of durability, but a case is still a must. Wireless fast charging is also supported. 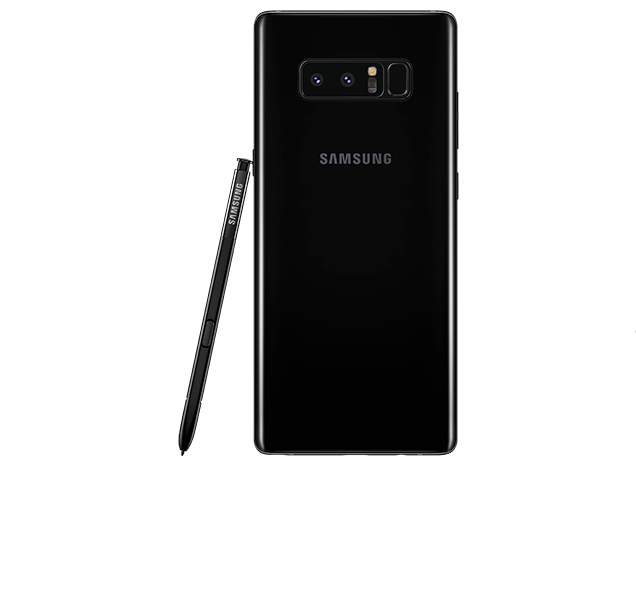 The non-US version of the Note 8 uses Samsung’s in house developed octa-core Exynos 8895 CPU. This gives it the chops to multi-task in split screen mode and even better, to run cool – even when under load. It’s also energy efficient. Its battery lasted a day and a with heavy use and close to two days with typical/moderate use. There’s also plenty happening on the connectivity front. 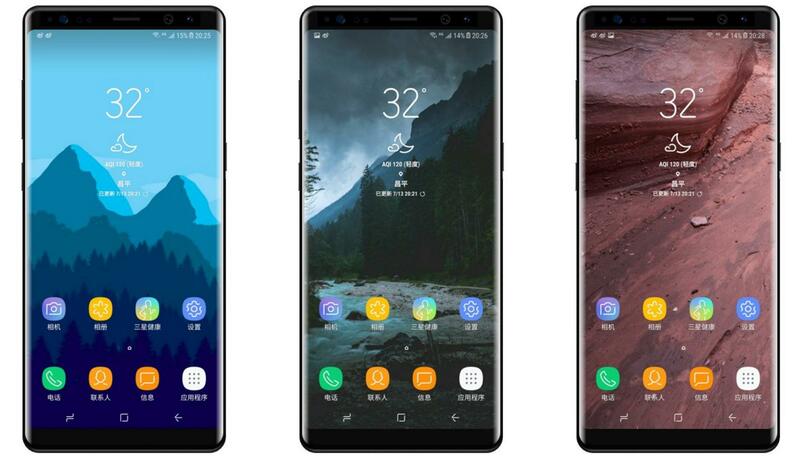 The Note 8 supports Bluetooth 5, gigabit 4G and 802.11AC WIFI along with NFC, wireless charging. On the wired connectivity front, there’s a USB-C socket and a 3.5mm headphone jack. About the only thing missing is a kitchen sink. The Note 8 runs Android 7.0 Nougat. Overlaying this is the latest iteration of Touchwiz. A particularly nifty interface tweak is its ability to handle split-screen multitasking. Not only can it run two apps side-by-side, but you can save two apps to run in split-screen mode via a single new app icon. This means that when driving, Google maps and the Samsung music player can launch with a single tap. Samsung have also upped the amount of RAM bundled with the Note 8 to 6GB and it comes with 64GB of storage by default. Roomy storage aside, the big drawcard is its S-Pen stylus. Samsung have done an amazing job of integrating the S-Pen into the Note 8. Thanks to some well-integrated apps, it offers a combination of power and usability. The S-Pen supports 4098 pressure levels. The killer stylus feature on the Note is its ability to allow you to write on the lock-screen. For whipping it out to knock out a quick shopping list, this is hard to beat. Using the Stylus, you can make animated gifs that shows stroke-by-stroke any writing you create. This is shareable with social media platforms that supports animated gifs. Like the Galaxy S8+, the Note 8 comes with a variety of options for unlocking. On its front is the iris scanner. The front camera also does facial recognition. Then there’s the usual round up of pins, patterns and best of all, smart lock. This unlocks everything when a paired Bluetooth device is within range. The only negative is the Note 8’s fingerprint scanner. Like the Galaxy S8/S8+, it sits next to the rear camera and is a recipe for lens smudges. It’s also awkward to reach. I’m not a huge fan of the sensor’s location on the Note 8. Using it could in theory increase your chances of dropping it. 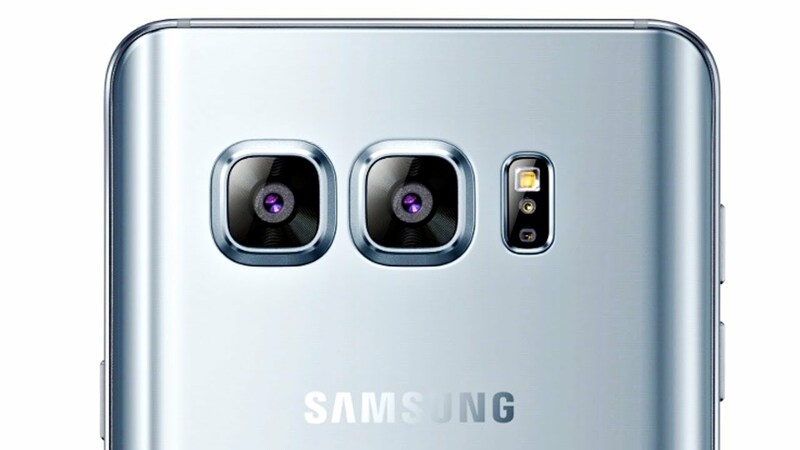 The rear dual cameras are a first for Samsung. They take the already capable shooter used in the previous models and extend them. The twin 12MP cameras use an excellent camera app. It combines a robust manual mode and a selection of automatic modes. Both rear cameras have optical image stabilisation. This helps with low light shooting. The key differences lie in focal lengths and apertures. One has an f/1.7 lens, while the other the other uses a telephoto lens and f/2.4 aperture. This provides 1x and 2x optical zoom capabilities. Zoom aside, the Note 8’s dual cameras allow it to detect depth. This can blur the background/foreground of photos during or after shooting. This effect lends photos a DSLR like quality. The Note 8’s cameras also do a good job shooting in low light, plus they’re quick and accurate when it comes to focusing. The Note 8 is one of Samsung’s pricier offerings, retailing for around $1,679, but you do get a hell of lot of phone for your money. Put simply, there’s a whole lot to like. Its massive screen is gorgeous and edgeless design builds on what worked so well with the S8/S8+. 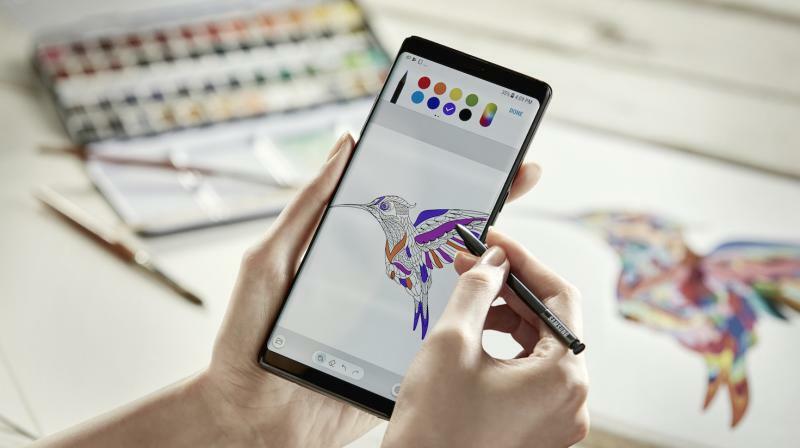 Add in the excellent S-Pen plus waterproofness and wireless charging and you’ve got the makings of a great smartphone. The dual rear cameras are the icing on an already tasty smartphone cake.